On Monday evenings this August and September we offer you the chance to sneak away & treat yourself. 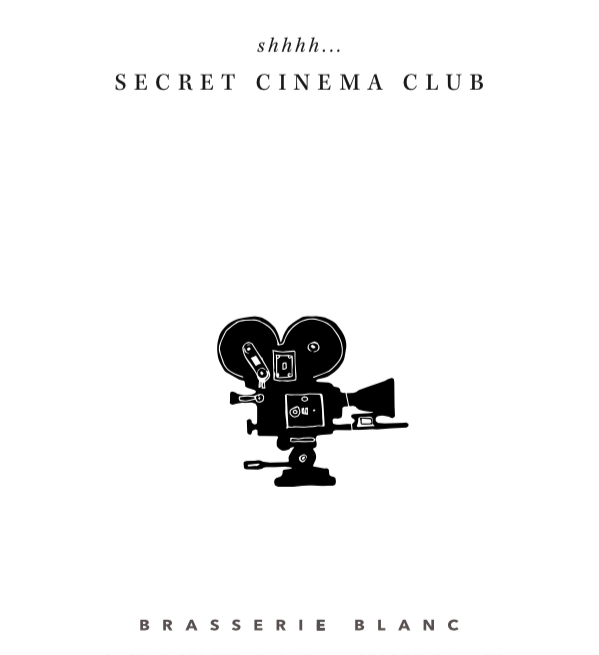 Join us for a deliciously seasonal two course meal & a glass of wine,served from 7pm, followed by a Classic or contemporary French Film in our Secret Cinema Club for only £20. Space is limited so booking is essential. Jacqueline (Vanessa Paradis) is a young mother living in 1960s Paris with her disables son Laurent. Abandoned by her husband, Jacqueline sacrifices everything to care for her son and vows to give Laurent a “normal” life full of happiness. Antoine, is a successful DJ in present day Montreal who seems to have it all: a thriving career, two beautiful daughters, partner Rose, with whom he is passionately in love. However, nothing is perfect and Antoine’s ex-wife Carole remains devastated by their recent seperation. Cafe De Flore is an epic love story that chronicles the parallel fates of Jacqueline and Antoine and how two separate and extraordinary moments of passion can shake their lives across time. True story of Heinrich Harrer, an Austrian mountain climber who became friends with Dalai Lama at the time of China’s takeover of Tibet. France, 1766. Sent by the King to investigate a number of attacks by a terrifying wolf-like beast in Gevaudan, scientist and adventurer Gregoire de Fronsac and his martial-arts-trained Iroquois sidekick Mani arrive to find a community pregnant with many secrets. As the beast continues to ravage the area, Gregoire and Mani’s investigations reveal that it is in the control of a sinister local religious cult. But can they catch it before it claims any more lives? 1992. Colombia. Nine-year-old Cataleya witnesses her parents’ murder. Barely escaping the massacre herself, she takes refuge in the United States with Emilio, her gangster uncle… Fifteen years later, Cataleya works for him as a hit woman. Her calling card–an orchid drawn on the chests of her victims–is a message to her parents’ assassins. For Cataleya is determined to see her vengeance through to the bitter end… even if it means losing everything she loves. 1644, Paris, and 22-year-old Jean-Baptiste Poquelin, also known as Molière, is not yet the writer that history recognizes as the father and true master of comic satire, author of The Misanthrope and Tartuffe, and a dramatist to rank alongside Shakespeare and Sophocles. Far from it. He is, in fact, a failed actor. His Illustrious Theatre Troupe, founded the previous year, is bankrupt. Hounded by creditors, Molière is thrown into jail, released, then swiftly imprisoned again. When the jailors finally let him go, he disappears. The combined efforts of historians have unearthed no trace of him before his reappearance, several months later, when his troupe begins touring the provinces – a tour that will last for thirteen years, and culminate in Molière’s triumphant return to Paris in 1658. A infant bear cub (Douce the Bear) witnesses the death of his mother in a rockslide and is forced to set out to fend for himself. The young bear encounters a giant grizzly (Bart the Bear), who at first cannot abide the young bear’s presence. However, the grizzly is soon ambushed by a pair of hunters – Bill (Jack Wallace) and Tom (Tcheky Karyo) – after an altercation with their pack animals. As the injured beast cleans his wounds in a stream, the young bear comes to his aid, and the giant takes the youngster under his wing. However, Bill and Tom have sworn revenge on the grizzly, and when they capture the young bear, it lures the giant back into the hunters’ camp. L’OURS, released in English-speaking countries as THE BEAR, was based on the novel King Grizzly by James Oliver Curwood.